Historically, lacrosse has been rarely played outside of New England but over the last two decades, it has become increasingly common in the Midwest. Many public and private high schools in Chicago have boys’ and girls’ lacrosse teams and there are college in the Chicago area that have lacrosse teams for both men and women as well. But that means we’re also seeing more injuries from playing lacrosse. If you or your child plays lacrosse, or has recently been injured during a lacrosse match, we’re here to help you reach your best playing ability. While the basics of lacrosse play are shared by men’s and women’s teams, there are substantial differences in how players of different genders experience the game. Men’s lacrosse is considered a contact sport. Conversely, intentional body to body contact is not allowed during women’s games. Therefore, men’s lacrosse requires more protective gear: male lacrosse players wear helmets with full face guards, shoulder pads, padded gloves, and mouthpieces. Women are required to wear only protective goggles and mouthpieces. Ankle sprains are by far the most common lacrosse injury. Ankle sprains account for 21% of all reported lacrosse injuries for women and 16% of all reported lacrosse injuries for men (high school and collegiate level). Like ankle sprains, knee sprains are common among lacrosse players because of the need for players to quickly change direction on the field. If the playing surface is damp or wet, sprains are even more likely and players should take extra precautions. While knee sprains are more common than actual tears, tears to a player’s ACL can be devastating and are the single biggest cause of lost playing and practice time. Like ligament strains, muscle strains can be caused by rapid changes in movement and direction. The likelihood of a muscle strain occurring is increased when players are tired, dehydrated, playing beyond their ability, or overworked. While women are not required to wear protective headgear, we strongly suggest that all players wear protective headgear to provide as much protection against concussions as possible. But, even with protective headgear, concussions are possible. As bodies collide, intentionally or otherwise, and the ball and stick move throughout the game, there are many chances for head and face injury during a lacrosse match or practice. The original game was played only by men and offered featured teams of hundreds of warriors who played all day long, for days on end. In some instances, the games were played in place of warfare, which likely saved thousands of lives. The game was considered by the players to be holy in itself and their play honored their Creator. 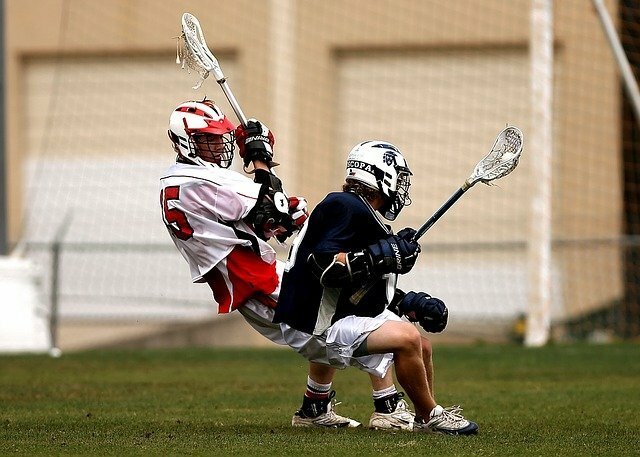 Chiropractic care can help lacrosse players who want to improve their physical fitness in order to play better but we can also help injured players get back on the field faster and avoid more future injuries. Curious about how chiropractic can help you or your child who plays lacrosse? Read on! Improving fitness, agility, strength, etc. The better a player’s fitness level, the better the player is. And, the more fit the player is, the less likely they will succumb to minor injuries. Chiropractic care can help lacrosse players (as well as other athletes) improve their flexibility, especially the flexibility of their spine. When players are more flexible, that means they can move more freely. In a game like lacrosse, when players often suddenly switch directions, increased flexibility and lessen the likelihood of injury from strained or torn ligaments and muscles. In addition to increasing flexibility, we can also help players strengthen their core muscles. A stronger core means greater better endurance and better support for all of your other muscles. Players who have strong core muscles are also less likely to miss practices and games because of injuries. We can also help athletes recover after practices and games. Sore muscles may not be injured, but they can still hinder play. 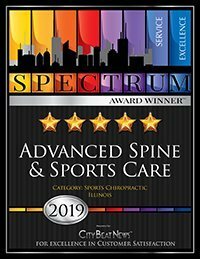 Using a variety of techniques, your chiropractor can help ease your sore and tired muscles and get you back to top playing form ASAP. Most injuries to muscles and ligaments are only really healed by time - unless the injury is severe and requires surgery in order to heal. But, short of surgery, we can help injuries heal more fully and help prevent re-injury or injury of associated areas while you are healing. When athletes are injured, it can mean that other body parts are put under greater strain in order to make up for the injured area. This can results in muscle soreness, tweaks, pinches, and even misalignments that can sometimes be more of a problem than even the original injury was. Your chiropractor is a skilled practitioner who knows how injuries can affect associated areas. Your chiropractor will keep an eye on your overall body alignment and will help you slowly begin to strengthen the injured area, as well as improve your strength in other areas that will support the injured area. Should you have an injury that requires surgery, we can also help you after your surgery by making sure your body is healing as fully and properly as possible. Meanwhile, we will help you maintain your strength in ways that protect and support the healing process. If you or your child plays lacrosse, we’d love to chat with you about the ways we can help improve your game, help protect you from injuries, and help you heal, should injuries occur. Schedule a consultation with us today!